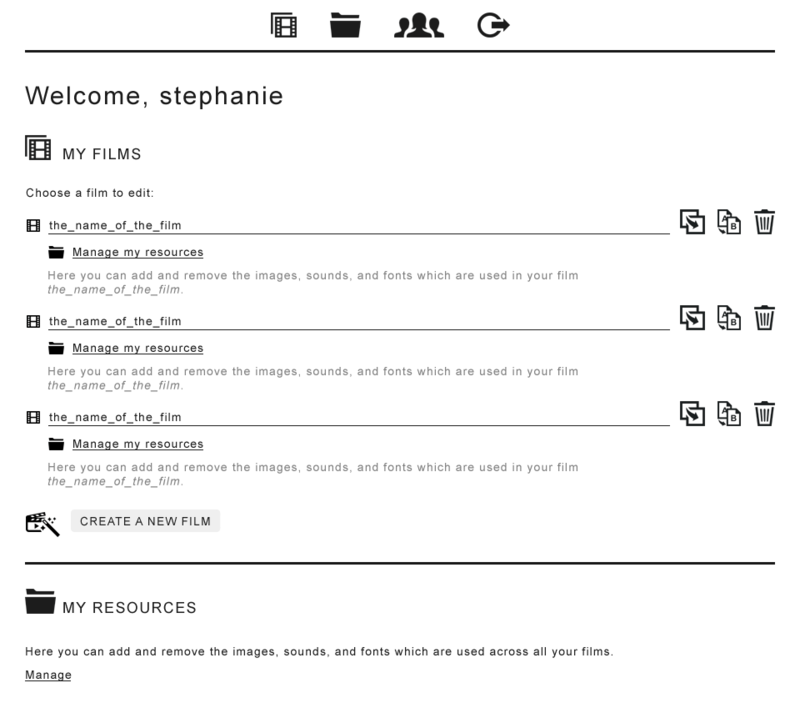 Beginning 2014: The first prototype of MyDesktopLife has been created, I have used it to make a few films and I have seriously formed the idea that I should share it and create a CMS. But I need the money for it. the 4000 euros given by the ZKM resarch grant has been completely spent (and more than that) in paying the developer James Hudson, so I need to find some money for the development of the CMS. Stimuleringsfonds creative Industries seems to be the answer, they have a research grant that seems to be what I need. Looking for help for the application is a whole enterprise, as it seems very different from the kind of applications to Mondriaan Fonds. Summer 2014: applying again, but for a smaller grant, starters grant. In english this time, with the help of Karin De Wilde and Anik Fournier (for english). I change the name of the project into “Web-Mixer” and I re-phrase everything, to make it seem less like an artist’s vision and more like a digital experiment, a web application made to benefit a wider public. I send a widespread announcement to my whole mailing-list about the AOYS presentation, also mentioning that the software is meant to be shared and used by other people in the near future. 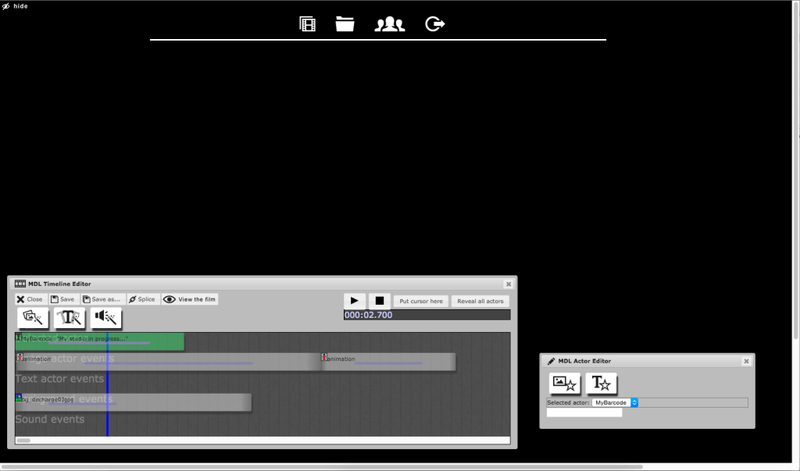 A first rough version of the CMS has been created by James Hudson. I don’t have the time to test it. Petra Johnson lives in Köln and has just completed a Phd in “Art in the social space” at the University of Essex. Her work of art and research consisted of walks in different cities which she shared with individuals and reported upon. Walk with me is her website. http://walk-with-me.org.uk. She wants to make a more interesting report/work using the narrative material she has collected during her walks. A website is too limited because it only offers the possibility of making lists, lists of images, lists of texts. So she wants to use my software to build a multilayered report of her walks, using layouts, maps, post-it notes, geographical coordinates, stories and memories spoken out with her voice, and just a few images. It’s something that she calls deep-mapping. The only way to show her the use of the software is to invite her over and explain it (there are no info files).So she stays at my studio, one week in December 2014 and one week in February 2015. During these weeks I explain the software by showing her how it works. I’m just as busy as her, because for a part I have forgotten the use, so I need to remember it actively by using the software myself and making some films, for the other there are still quite some bugs since building of the CMS, and bug chasing is immensely time consuming. She has a very precise idea of the multilayered work she wants to build, and stretches the possibilities of the software, creating a lot of errors and difficulties. I learn a lot about possibilities of the software which I never thought of, and I marvel at seeing a work being done with my software which is so different from my own work. Petra is also very satisfied with her work, although she had to struggle a lot, make her ideas and intentions fit into my software, especially knowing that it is still a very rough version. For example she has to make the work in 3 parts because it won’t all fit in one file, so she ends making 3 versions of about 20 minutes each. See my own report with a few snapshots. In march and april and may, I know the software needs improvements, but I do not know where to start. I definitely need new users to find out more about usability. I feel a bit stuck. In June, I get invited for an online event 6pmyourlocaltime and I take the opportunity to organise a workshop in my studio where the software will be demonstrated and proposed to people who want to use it. It’s for 22 July 2015. I’m busy on it right now. One of my collaborators, Stephanie Boisset is already busy designing a better user interface with icons . I‘m going to Berlin for a week of intense collaboration between 5 and 12 July with my two collaborators, Stephanie Boisset the designer and James Hudson the developer who both live there. Not sure how far the software will be on 22 july, date of the workshop event, but I’m playing it by ear, going one step at a time. I have just enrolled one of my (ex)-student Alina Lupu to assist me for the organisation of the workshop event of 22 July. She happens to have excellent skills precisely in evaluating software and designing instructions instructions for use because this is the job she had in Roumania before she came to study art in Amsterdam. How could I have known that? I feel so lucky! The practice of collaboration is very challenging for me, I’m always unsure of what I should ask for and how much I should let happen. That’s where the most of the experimentation is, for me. I realise how much of a “lonely artist” I naturally am. Not that I fundamentally want to change that, but going out of my way for this research is sometimes terribly unsettling. Moreover the money is always insufficient. The part of the grant I was reserving to pay my own work will be used for collaboration, I’m ready to keep nothing for myself, but still, it will be not enough. They are showing the screen capture version of her work, but the link to the actual browser version is just under. They decided to do that because the work seems to display equally well in all browsers. More to be worked on! About the organisation of the symposium in October 2015 “How to do art with Networks”, I have asked Annet Dekker, we defined together the content and she is inviting the different guests. The file of presentationof the symposium is here: ArtWithNetWorks. The date is still not yet finalised (15 or 8 October 2015), the place is the Rietveld Gym. For the CMS of MyDesktopLife, I see the symposium as the opportunity of an official launch. Once this is done, I will report to Stimuleringsfonds, to tell them what I did with the money. I am keen on reaching a stage on the 22 of July, during my own workshop event, where I can trust the CMS and its usability, in order to be confident during the launch in LAPS symposium.